In outdoor occupations, such as construction, summer sunshine is the main source of heat. It can potentially overwhelm the body’s ability to deal with heat. 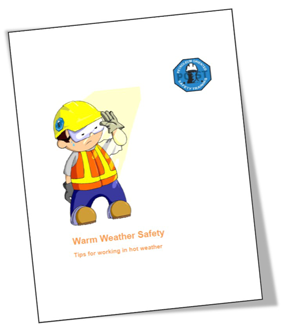 Our Warm Weather Safety Guide provides tips for coping with high temperatures. For a complete list of all of the signs and symptoms of heat cramps, heat exhaustion and heat stroke download our complete guide to dealing with heat stress.